Tomorrow, (August 28th), is the 50th Anniversary of the March on Washington for Jobs and Freedom, one of the largest Civil Rights demonstrations and political rallies in history. It was as a speaker at the event that Martin Luther King delivered his most famous speech, which has come to be known as the “I Have a Dream” speech. 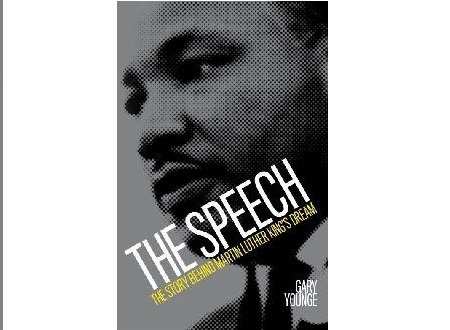 Writer Against Racism, Gary Younge, has written a new book 'The Speech: The Story Behind Martin Luther King's Dream'. Gary Younge is an award-winning columnist and feature-writer for The Guardian and The Nation and a broadcaster on both sides of the Atlantic. The Speech is his fourth book. His previous books include No Place Like Home, A Black Briton's Journey Through the Deep South, Stranger In A Strange Land, Encounters In The Disunited States and Who Are We? And Should It Matter In The 21st Century. Born and raised in Stevenage by a Barbadian mother he now lives in Chicago. Show Racism the Red Card is proud to announce that they will be holding a launch of this excellent book, which Gary will speak at, in Newcastle-upon-Tyne on Saturday October 12th. More details will follow shortly, watch this space! SRtRC interviewed Gary about the writing of the book, read more here.